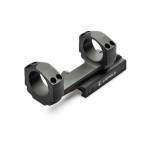 Burris Optics AR PEPR Riflescope Mount. 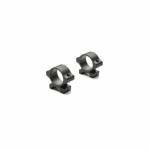 Lightweight aluminum with anodized black finish. 1.34" height. For 34mm Main Tubes Optimized for AR Firearms Forward Positioning up to 2" Allows full use of eye relief Two Picatinny mount points on top Compatible with Picatinny rails Quick-release locking screws ..
DNZ's Hunt Masters two piece scope mounts are custom made to fit each type of firearm and align perfectly with your rifle's receiver. Each ring and base is machined from top-grade aluminum, which absorbs shock and withstands temperature extremes at a fraction of the weight. The Hunter Masters uses a internal ring and base design which allows for extra eye relief adjustment and has up to four times the threads of other mounts for absolute strength and security. This model is compatible with Remin..
Model 1894,1895, 336 and XLR One inch scope tube Black Finish Medium Mount 8-40 receiver threads Rings are .625" wide Dimension from outside of back ring to outside of front ring is 4.09" From the bottom of the mount to the centerline of the scope tube is 1.062 ..
Add the versatility of a 1 piece scope mount to your rifle without having to drilled to fit factory scope mount holes, no drilling or tapping required. 0 MOA elevation Howa 1500 / Weatherby Vanguard SA ..
Add the versatility of a 1 piece scope mount to your rifle without having to drilled to fit factory scope mount holes, no drilling or tapping required. 20 MOA elevation Howa 1500 / Weatherby Vanguard SA ..
Howa M-1500 20 MOA Short Action Rail. 1-Piece Picatinny-style base constructed of high-quality aluminum and includes mounting hardware. .. 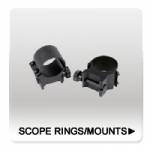 The Leupold Integral Mounting Systems (IMS) family quickly and easily eliminates the two most common issues faced when mounting standard riflescopes to AR-style rifles; scope height and eye relief. The aluminum IMS cantilever mounts directly to the firearm’s Mil-Spec 1913/Picatinny to raise the scope and push it forward, eliminating the need for risers or specialized optics with shortened eye relief. 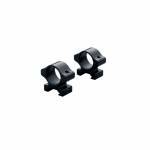 All Leupold IMS products are tested to endure the rigors of the field and are covered by the Leu..
Leupold mounts are every bit as rugged and dependable as the Leupold optics they’re intended to secure. With a huge variety of mounting systems, for nearly every type of firearm under the sun, you’re sure to find the perfect match for you firearm, and your style of shooting. 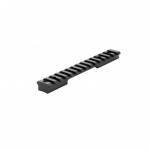 - 20 MOA Slope - 8-40 Adaptable (Mark-4) - Dual Use (Hunting or Tactical) ..
BackCountry cross-slot bases are machined from 7075-T6 aircraft-grade aluminum for lightweight, rugged performance. Fits both Picatinny and Weaver-style rings. Zero Elevation. Fits Remington 700 Bolt-action Rifles. 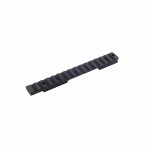 ..
BackCountry cross-slot bases are machined from 7075-T6 aircraft-grade aluminum for lightweight, rugged performance. Fits both Picatinny and Weaver-style rings. Available with zero elevation or 20-MOA for long-range shooting. Fits Remington 700 Bolt-action Rifles. .. 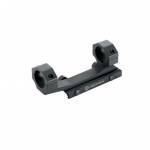 Extremely affordable and exceptionally well-made, our Rifleman mounts are precision machined from aircraft-grade aluminum for exceptional strength and lighter weight. - Weight 2.3oz - Height .9 in - Diameter - 30mm - Size: Medium .. Extremely affordable and exceptionally well-made, our Rifleman mounts are precision machined from aircraft-grade aluminum for exceptional strength and lighter weight. - Weight 2.6oz - Height 1.15 in - Diameter - 30mm - Size: High .. Extremely affordable and exceptionally well-made, our Rifleman mounts are precision machined from aircraft-grade aluminum for exceptional strength and lighter weight. - Height .9 in - Diameter - 1 inch - Ring Diameter 25.40mm - Size: Medium .. Extremely affordable and exceptionally well-made, our Rifleman mounts are precision machined from aircraft-grade aluminum for exceptional strength and lighter weight. 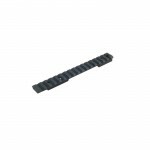 - Height 1.15 in - Diameter - 1 inch - Ring Diameter 25.40mm - Size: High .. 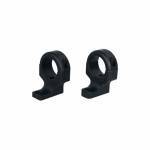 Extremely affordable and exceptionally well-made, our Rifleman mounts are precision machined from aircraft-grade aluminum for exceptional strength and lighter weight. 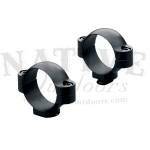 - Height .61 in - Diameter - 1 inch - Ring Diameter 25.40mm - Size: Low ..
One piece IMS mount for 30mm Rifle Scopes. Extremely durable lightweight aircraft aluminum. Perfect height and eye relief for AR Flattop rifles. 4 screws for each ring top that seat into steel inserts. This model has a 20MOA cant built into the mount for long range shooting. A perfect mount for a .308 AR. 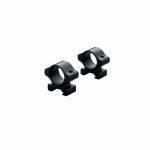 8oz 1.4" height 30 mm ..
* STD 2-Piece bases fit right- and left-hand actions * STD rings are made to match up with STD 1-Piece 2-Piece bases * Forward part of the base accepts a dovetail ring locking it solidly into position * Long Range STD mounts provide a 1/4 degree (15-MOA) slope of built-in elevation * STD 2-Piece bases offer maximum accessibility to the breech area of your rifle * Five different ring heights are available for STD bases * Rear ring is secured by windage adjustment screws * Versatile available for ..
STD 2-Piece bases fit right- and left-hand actions STD rings are made to match up with STD 1-Piece 2-Piece bases Forward part of the base accepts a dovetail ring locking it solidly into position Long Range STD mounts provide a 1/4 degree (15-MOA) slope of built-in elevation STD 2-Piece bases offer maximum accessibility to the breech area of your rifle Five different ring heights are available for STD bases Rear ring is secured by windage adjustment screws Versatile available for m..